Solvay Specialty Polymers, Quadrant Plastics, Saint-Gobain High Performance Films Halar is the trade name of ethylene chlorotrifluoroethylene (ECTFE), a thermoplastic copolymer of ethylene and chlorotrifluoroethylene. 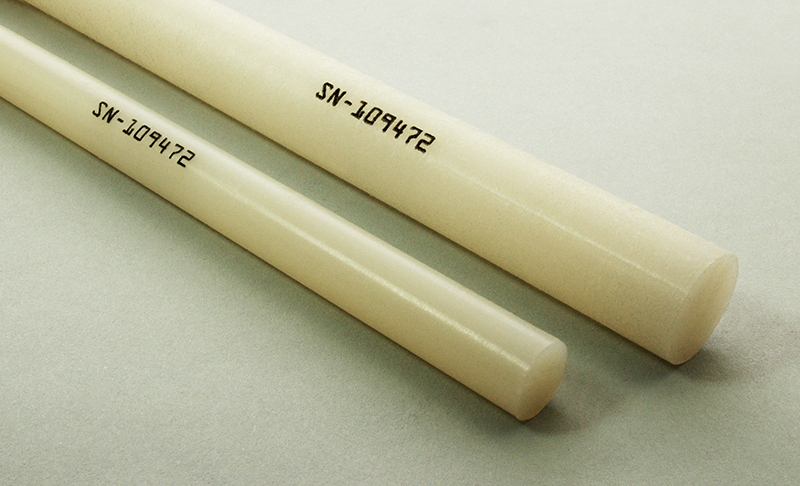 Halar was developed and is marketed by Solvay Specialty Polymers. Halar is useful in applications that require a high degree of corrosion resistance and ultra-low permeability. Even at high temperature and concentration, Halar exhibits excellent resistance to acids, solvents, oxidizers and caustic media. Additionally, it is heat and fire resistant and has desirable properties for electrical insulation (i.e. high resistivity, low dielectric constant). Halar is naturally off-white in color, but is occasionally available in black. 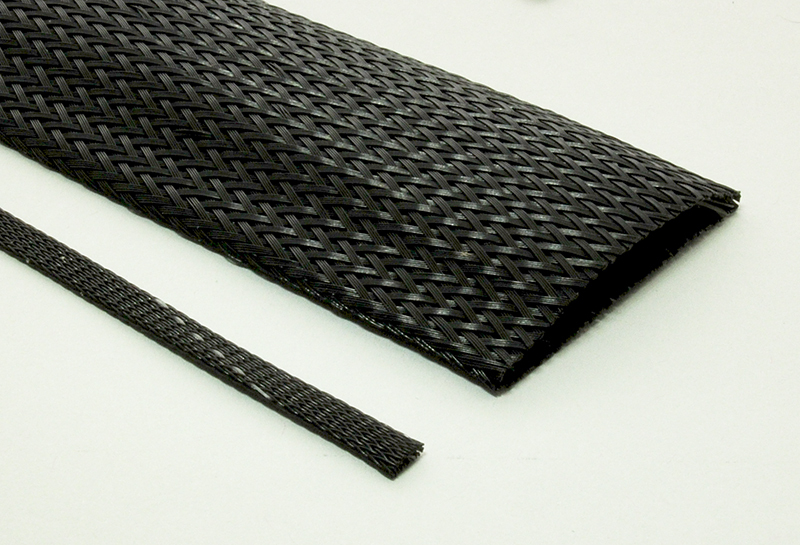 Sheet, rod, and coarse woven fabrics are available. The material properties of Halar, primarily heat and oxidation resistance, make it highly compatible with DLMP (Digital Laser Material Processing) technology. The influence of these properties on the results of DLMP is discussed in detail in the following sections. The effects of laser energy interaction with Halar are material ablation and material modification. In the case of Halar, the processes of laser cutting, laser engraving and laser marking can be applied. The laser energy can ablate material to cut, engrave or mark the material or it can change the surface properties to create a visible mark. Each of these processes are discussed in their respective section below. Material ablation is a physical process that removes material. Material is removed completely from the top to the bottom surface or partially from the top of the material down to a specified depth. Halar is an excellent absorber of CO 2 laser energy (wavelength=10.6). When Halar absorbs laser energy, it rapidly converts optical energy into molecular vibrations (heat). With sufficient heat, Halar undergoes rapid melting and vaporization, where the molecular bonds are broken at various points in its molecular structure. Material directly in the laser path is ablated away, creating vapors but no debris or discoloration. Primarily, CO2 lasers are used for laser ablation of Halar. The material just outside of the lasers focus point or path will conduct some heat, but not enough for complete and thorough ablation. This area is often referred to as the heat affected zone or HAZ. In the case of Halar, a minimal HAZ is created because Halar possesses a high melting temperature; adjacent surfaces can withstand conducted heat without excessive melting. As discussed in the DLMP overview, heat effects can be minimized by selecting an appropriate power for a given thickness of material. 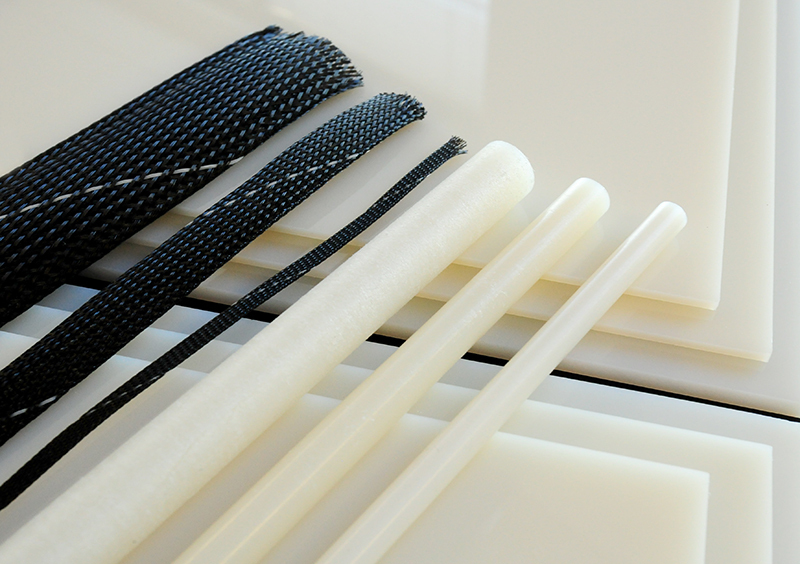 Due to its excellent temperature resistance Halar can be cut with a high degree of accuracy. The edges that result from laser cutting Halar are smooth and free from discoloration sometimes associated with thermal processes. Laser cutting Halar will produce a smooth edge; no additional processing is required. The basic capability shown in the example can be extended to nearly any shape, even complex and closely-spaced cuts. Laser engraving is the process by which material is removed from the top surface down to a specified depth. This is possible due to tight control over laser modulation. By continuously varying the laser power, laser engraving can be used for textures and information, such as text and numbers. The example shows how the laser energy can be controlled to removed material to a controlled depth. Halar can be engraved without discoloration or significant melting. As discussed, 10.6 wavelength CO2 lasers are very useful for material removal for the purposes of cutting and engraving. However, CO2 lasers are ineffective at creating contrast. Fiber lasers are better suited for this task. Halar will also absorb 1.06 wavelength fiber laser energy and convert it into heat. The power applied to the surface can be tightly controlled to create contrast without material removal. The resulting mark will be black. This process, sometimes referred to as carbonizing, leaves no residue or powder. 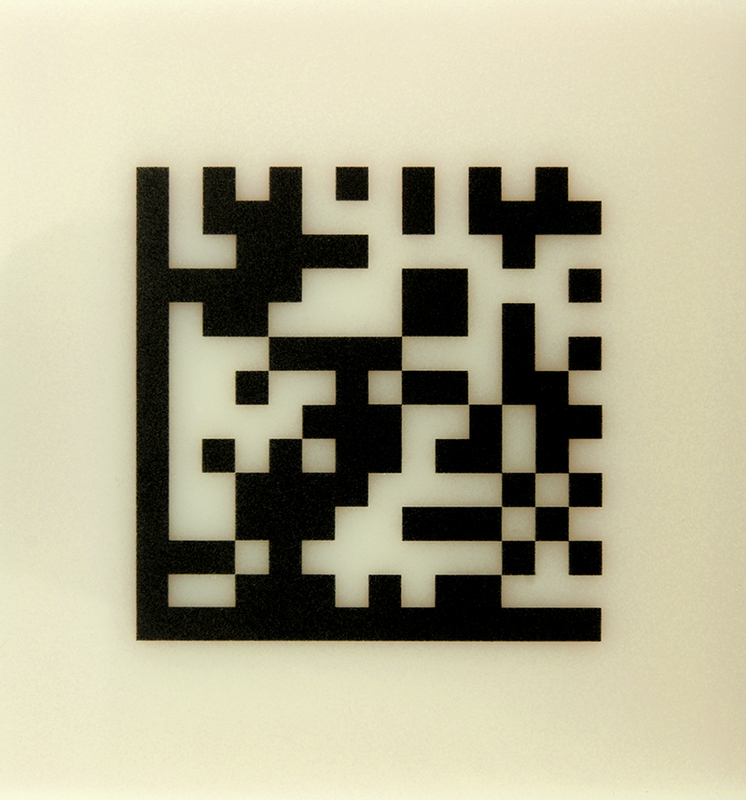 Halar can be surface marked with a fiber laser to convey information, such as numbers, text, barcodes, and even photographs. The mark is permanent and exhibits good contrast, making it an attractive alternative to inking methods. This process is well suited for creating human and machine readable information. Multiple processes can be applied to Halar without having to move or re-fixture the material. 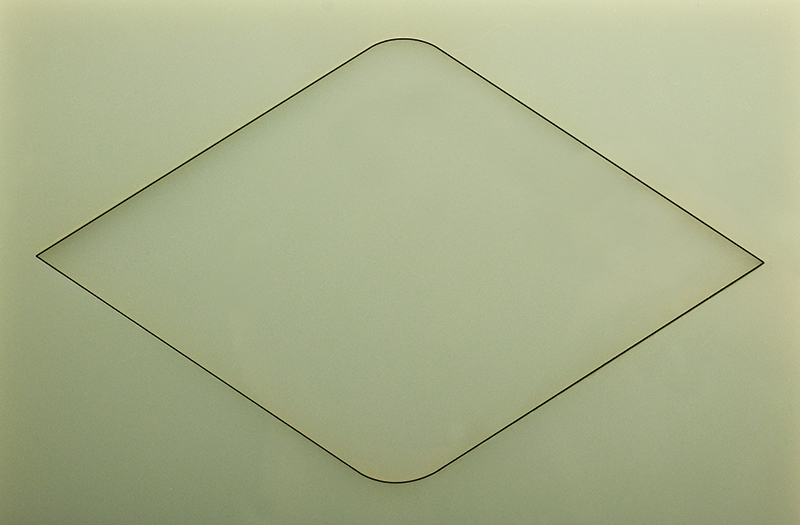 The example image demonstrates how processes can be combined to cut Halar from sheet stock, engrave a channel into the material and surface mark a serial number. The order of these processes are controllable by the operator. Laser material interactions will always create gaseous effluent and/or particulates. Due to its complex polymer chemistry, laser processing of Halar using a CO 2 laser produces a wide array of fluorine and chlorine containing gases. Most notably, this effluent contains hydrochloric acid and hydrogen fluoride. These gases and particulates should be routed to an exterior environment in accordance with government regulations. Alternatively, the effluent can be treated with a filtration system first and then routed to an exterior environment. Halar is resistant to high temperatures but can undergo exothermic reactions if provided with enough laser energy. Therefore, laser processing of Halar should always be supervised.